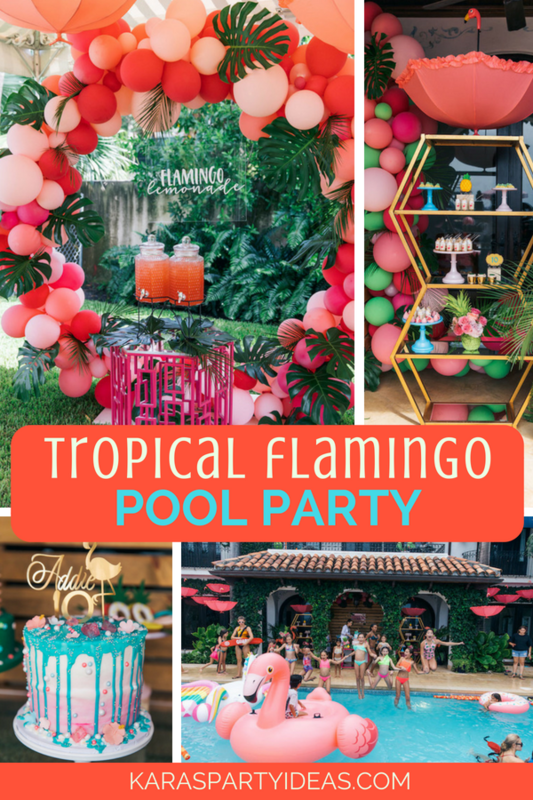 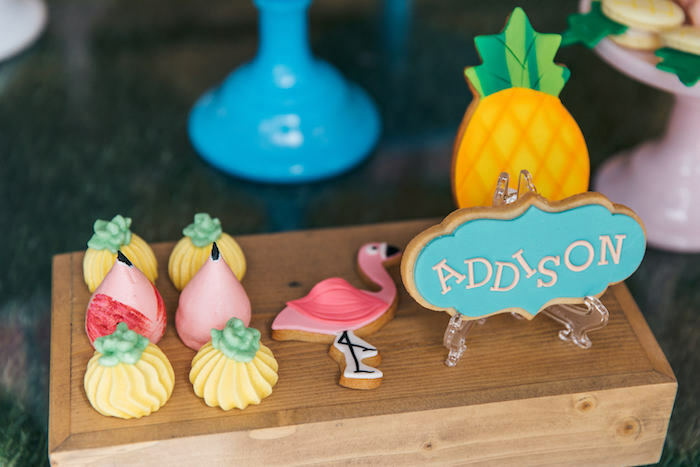 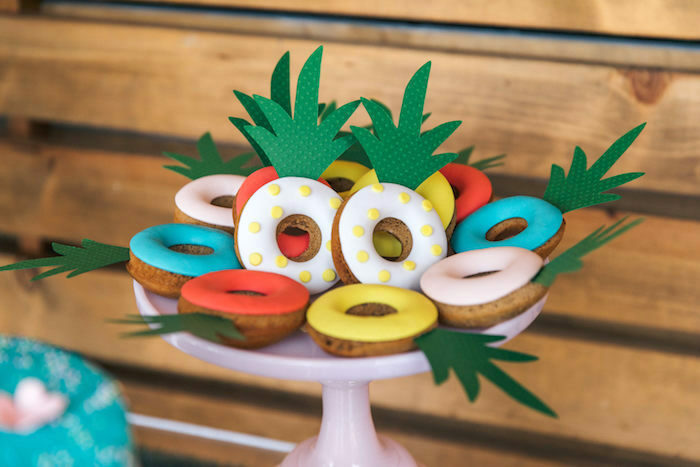 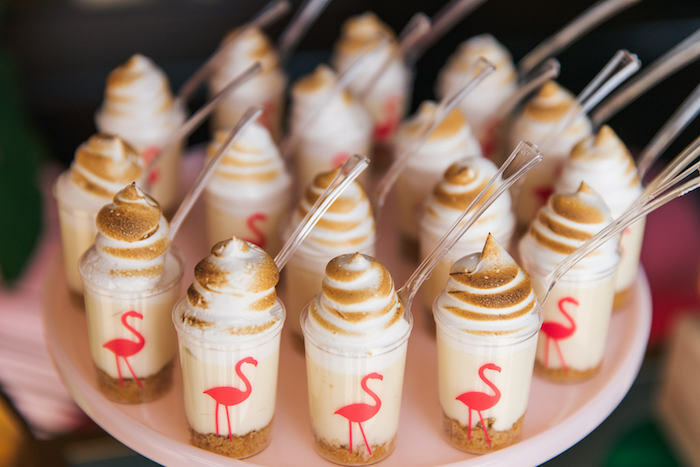 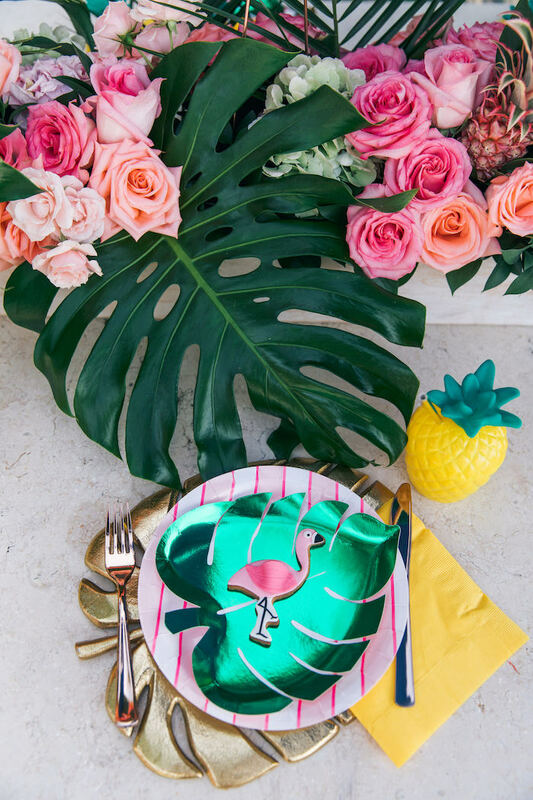 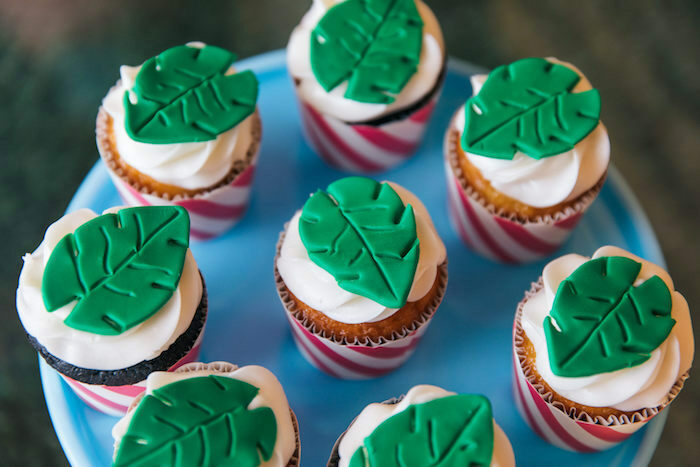 Flap your wings and take a dive, this Tropical Flamingo Pool Party, will help you thrive! 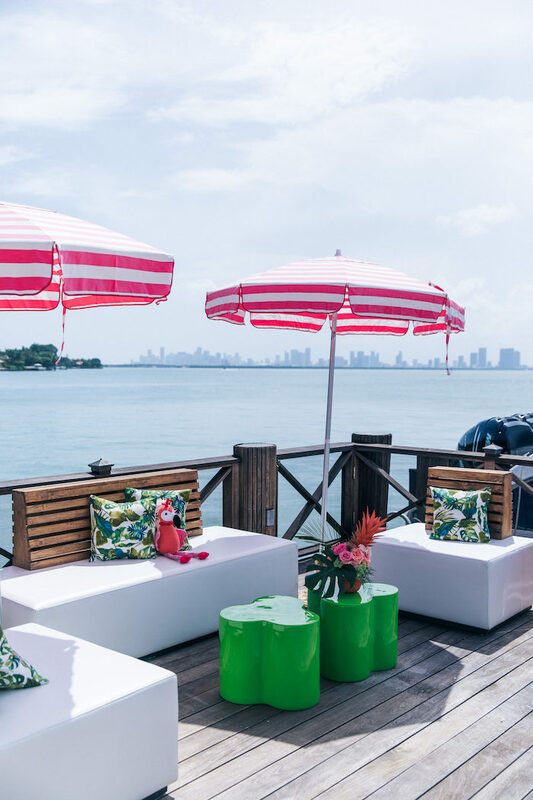 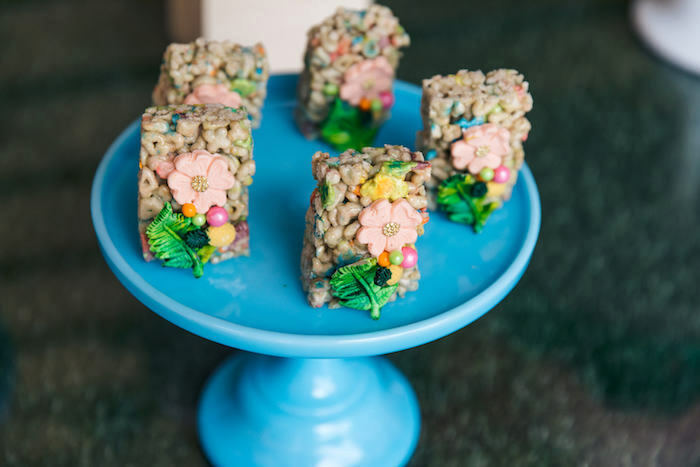 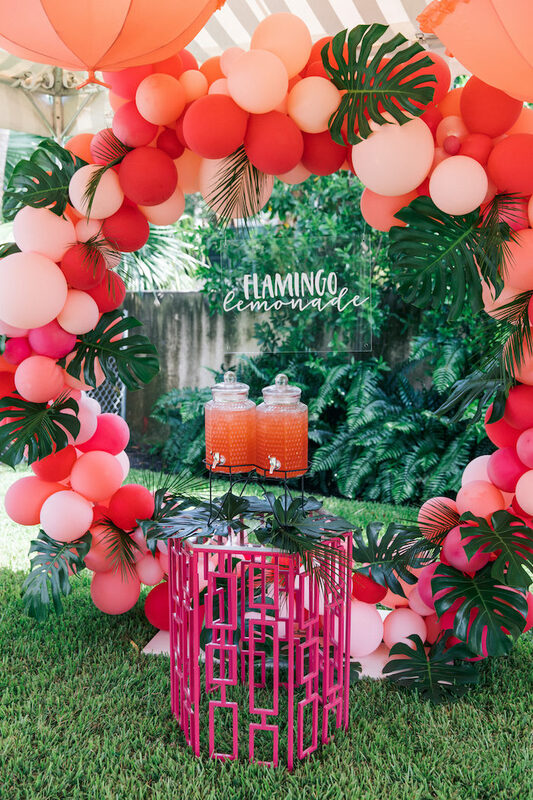 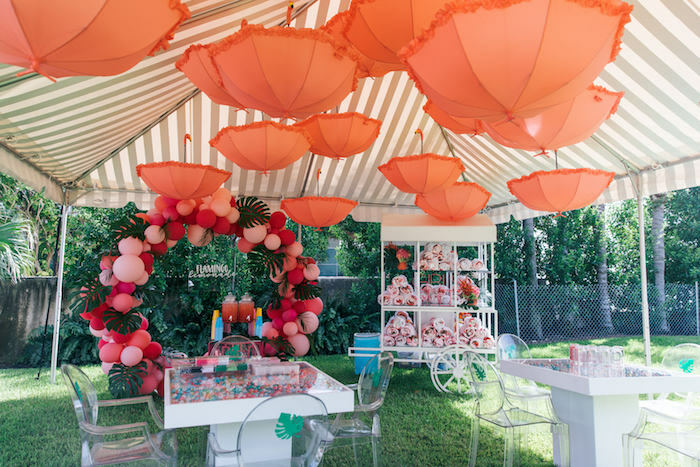 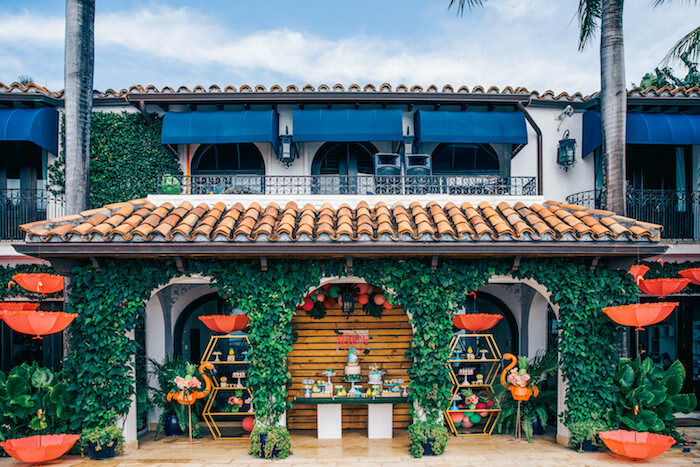 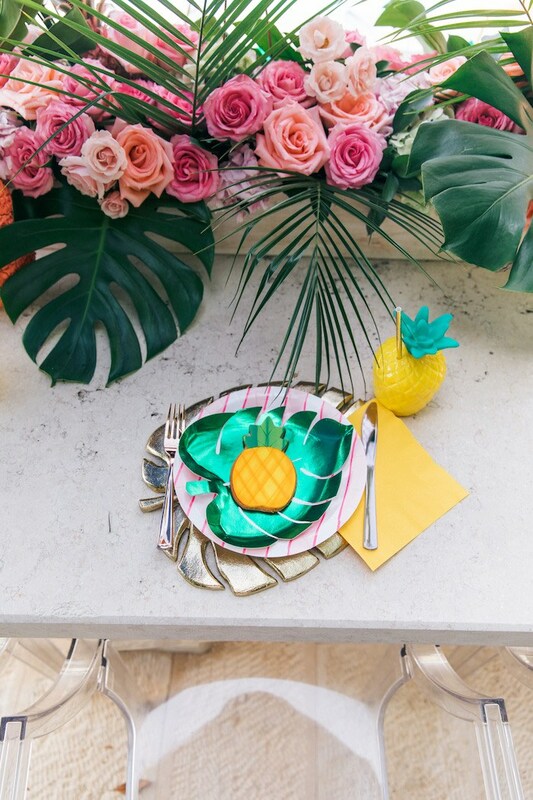 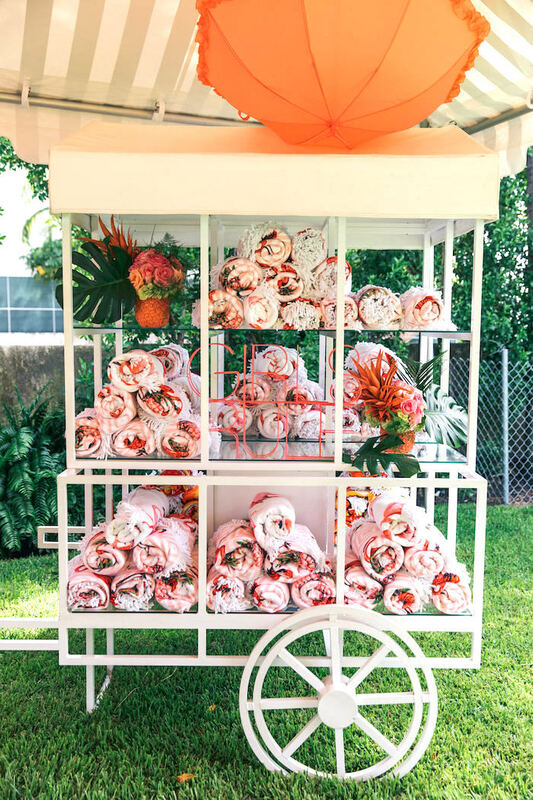 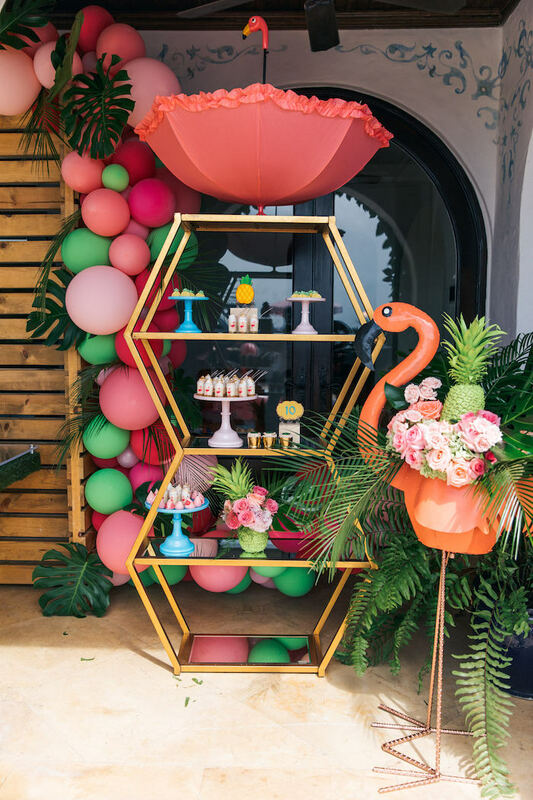 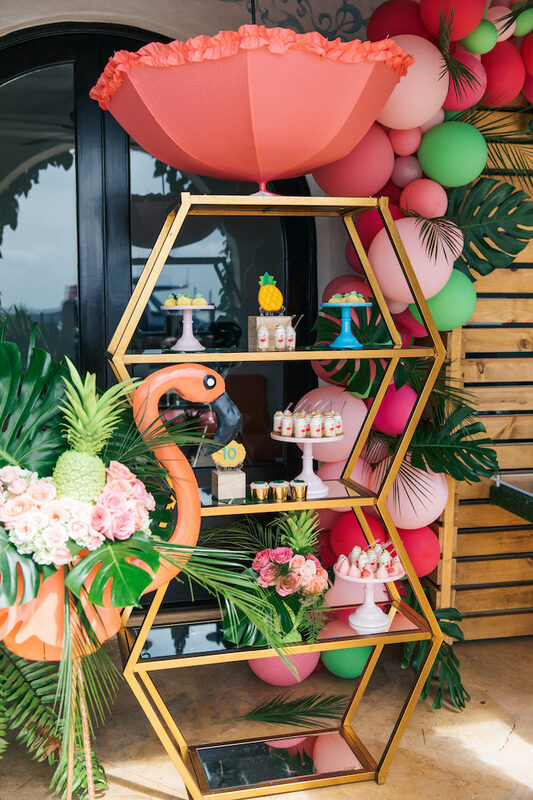 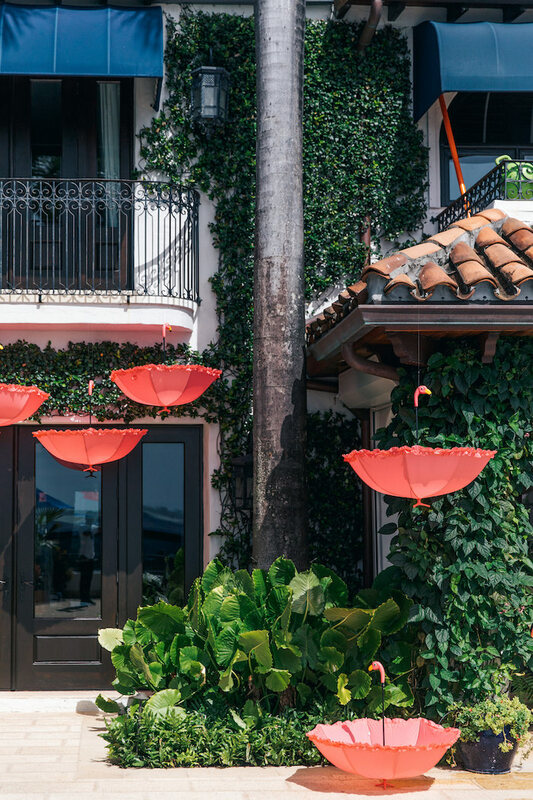 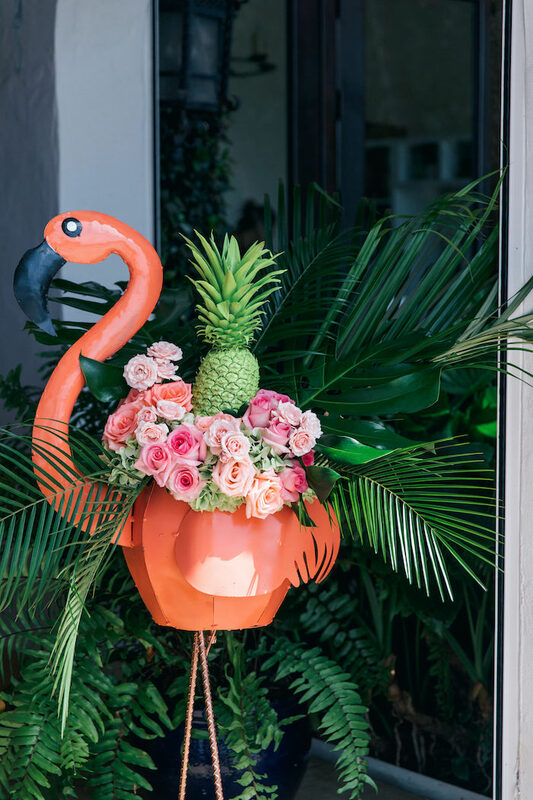 Filled with elements pink and fun, this darling event by Laila Plant of One Inspired Party, out of Miami Beach, FL, is a happening one! 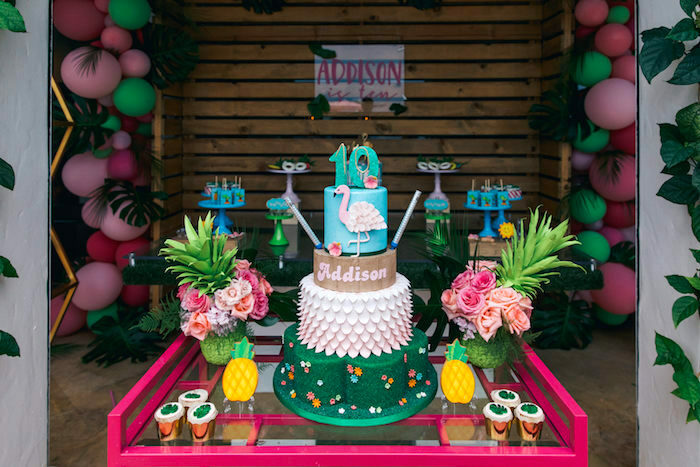 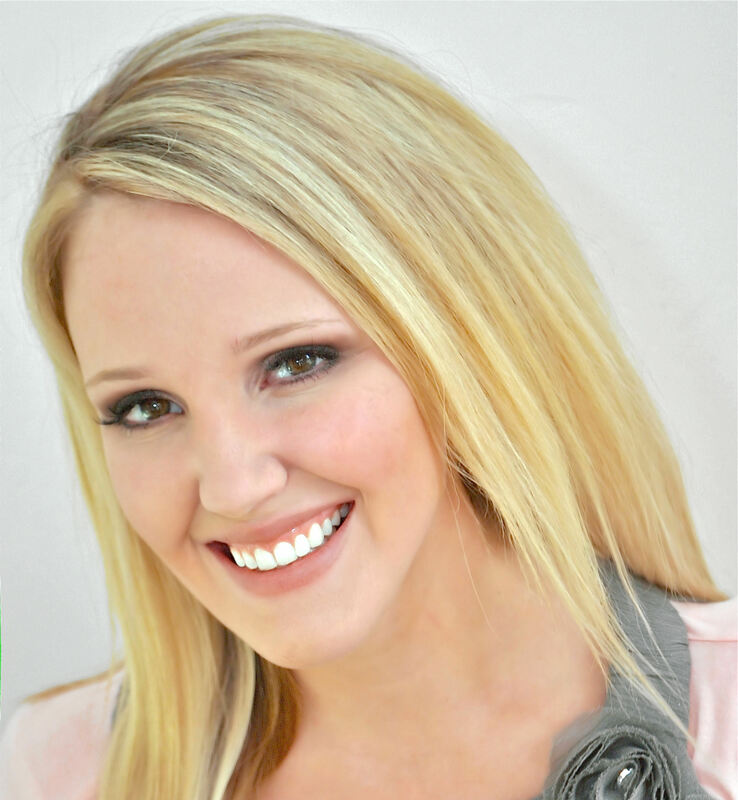 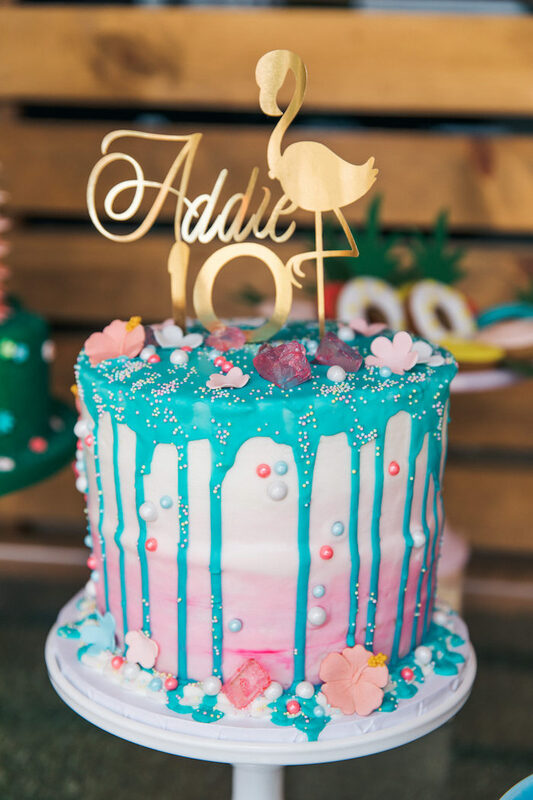 “Addie is a beautiful rhythmic gymnast that wanted to celebrate her birthday with a pool party. 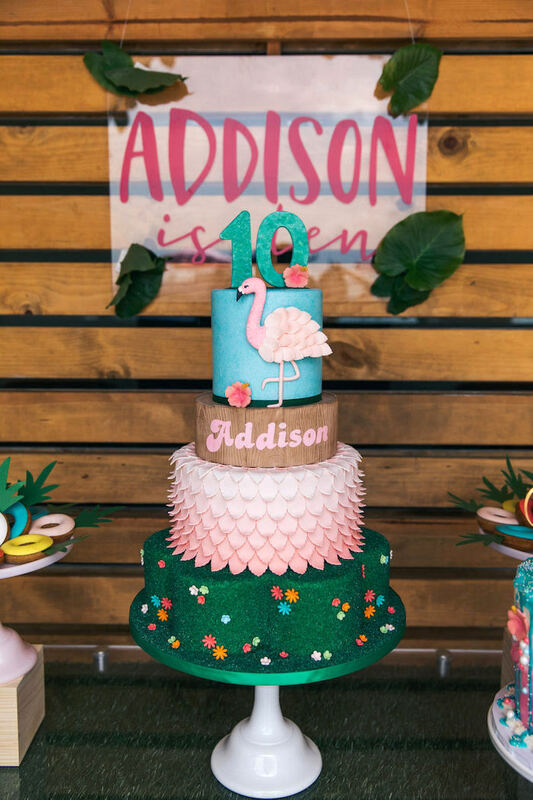 Being a gymnast also means she really has to watch what she eats which made it super great to have a free for all day where her and her friends could go at all the sweets possible. 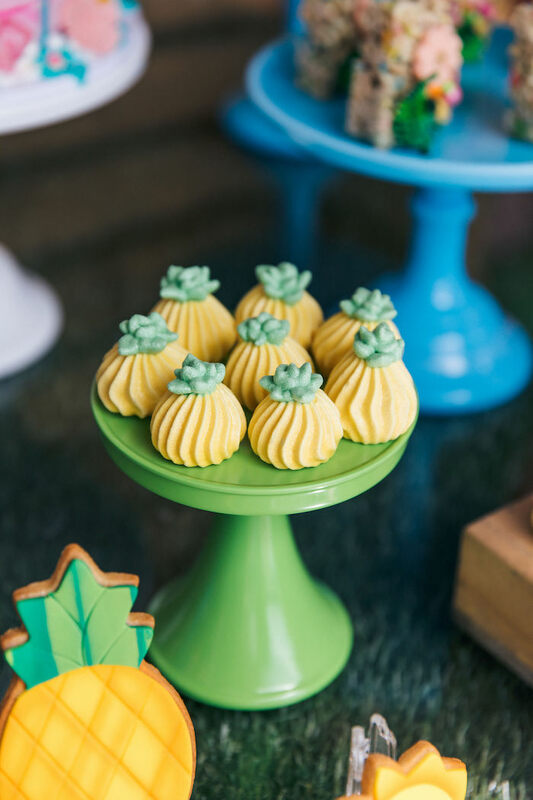 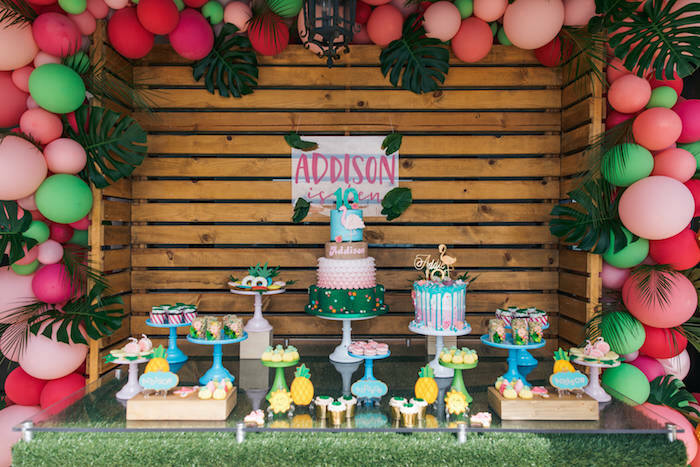 We focused a lot on the dessert area making it big and delicious. 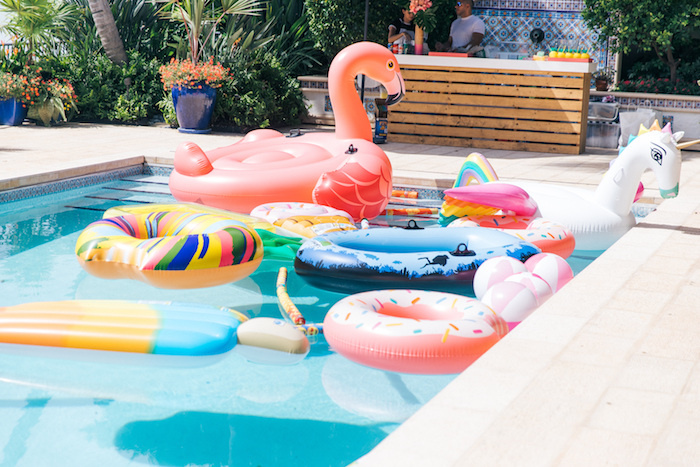 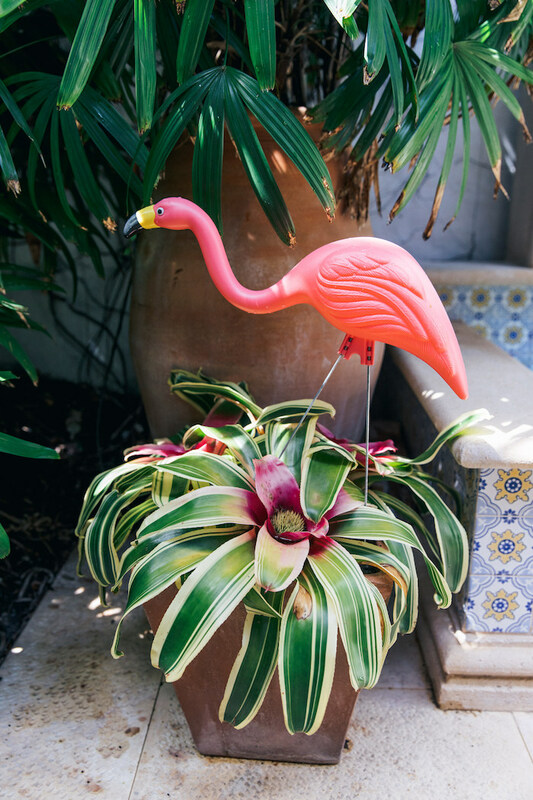 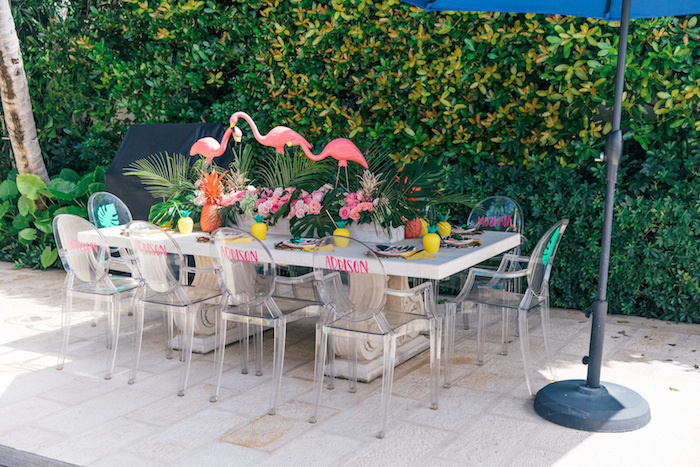 See all of our Flamingo pool parties here! 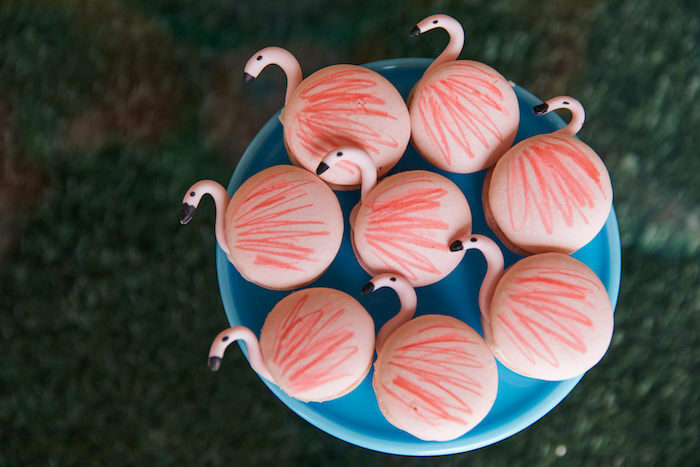 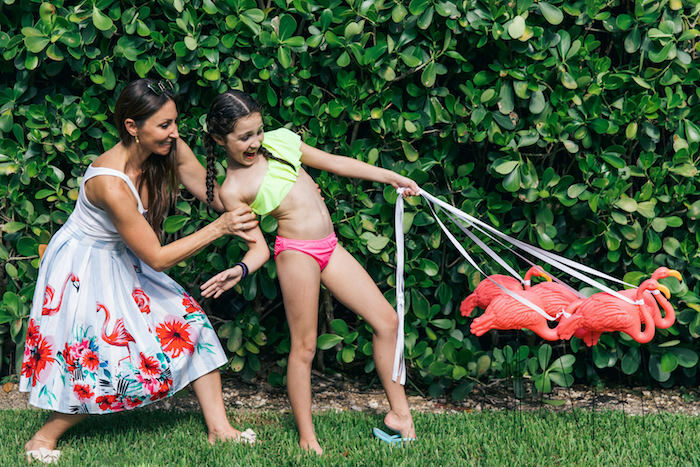 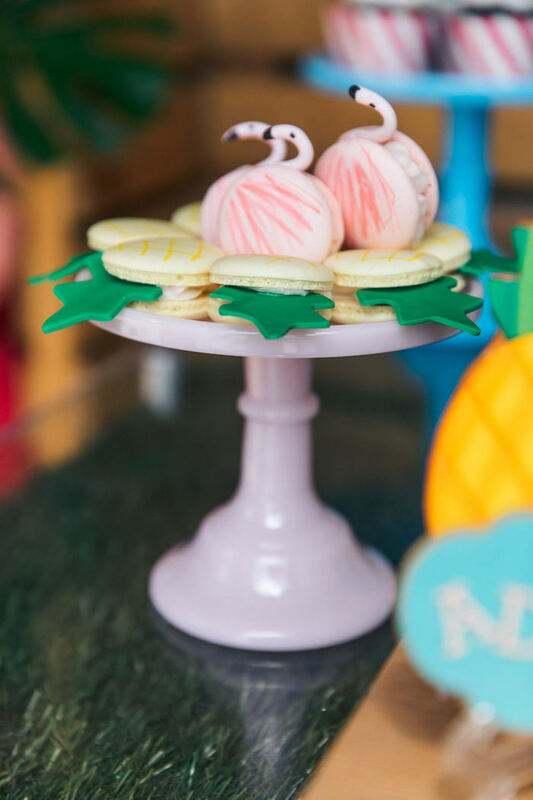 Plus, don’t miss this darling DIY Flamingo Croquet Game!